We simplify your life by preparing your taxes and getting you every deduction you are eligible for, while offering the best solutions to receive your tax refund easily with no hassle. Don’t waste time sitting for hours waiting for service send us your info now and Receive up to $6000 as early as today. Pay Only $250 Flat Rate Tax Preparation Upload Your Documents Easily & Start Today! Tired of paying the highest interest rates for car loans, credit cards, and mortgage loans? Do you hate being denied credit for items you really need the most? 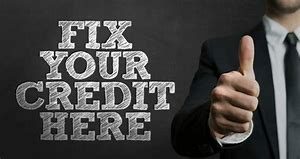 We provide the solution with our credit repair system that is designed to enhance your credit worthiness so creditors can give you higher approval odds with the lowest rate and lower monthly payments. Receive improved credit scores in just 30 days! Pay Only $129.99 Start Today! Braswell Tax & Credit provide ways to simplify our clients lives in areas that matters most. 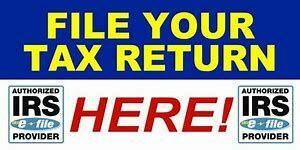 We take the stress out of dealing with the IRS by offering easy tax solutions for our clients to file accurate returns in a timely manner. We stand behind every return prepared by ensuring that information being submitted to the IRS is accurate and secure. If errors or omissions are made, We can amend any return filed by us within 3 years from the filing date. File your taxes with ease in a simplified way with no stress just send your docs, receive refund amount and get funds as early as today! Braswell Tax & Credit want our clients to confidently shop and apply for loans and services at ease knowing they have a strong credit profile that gives them access to lower interest rates, lower monthly payments, and higher credit limits. We work hard every day for our clients and we stand behind our ability to enhance their credit scores. We provide a proven system that is digital and organized in a way that ensures the credit bureaus are upholding our clients legal rights to report accurate information that is relevant and substantiated to our clients credit profile. We help our clients remove any inconsistencies on their credit profile. We also help our clients get a new fresh start by rebuilding credit with new credit accounts to further help improve their credit score by providing a personalized plan of action to help move their credit to the next level. Select Your Financial Service Need Now!